Joana Starnes has been very busy lately and today I bring you some very good news about her work… She is not releasing a new book, but she is now on Kindle Unlimited! Yes, that’s right, 3 of her books are now at the distance of a click! One single click can now provide many, many hours of joyful angst… And laughs, and love, and pretty much everything you can ever hope to have in a book, because let’s face it, her books can never go wrong! It is a truth universally acknowledged that a Joana Starnes book will be unforgettable. So, if you have not yet read any of these 3 books, this is your chance to do so without any extra expense. In The Falmouth Connection a mysterious new relative draws Elizabeth away from Hunsford before Darcy can deliver his disastrous first proposal, so he is compelled to follow her into the depths of Cornwall, where few – if any – are what they seem to be. In Miss Darcy’s Companion Georgiana is safe from Mrs Younge’s clutches – but does that mean that she is really safe? And what would Elizabeth think of Mr Darcy if she doesn’t meet him at the Meryton assembly, but has the chance to see him as his nearest and dearest know him? In The Unthinkable Triangle the unthinkable happens! Colonel Fitzwilliam acts on his feelings and proposes to Elizabeth at Hunsford, before Darcy could. And, horror of horrors, is accepted! HEA is guaranteed, of course – but HOW? 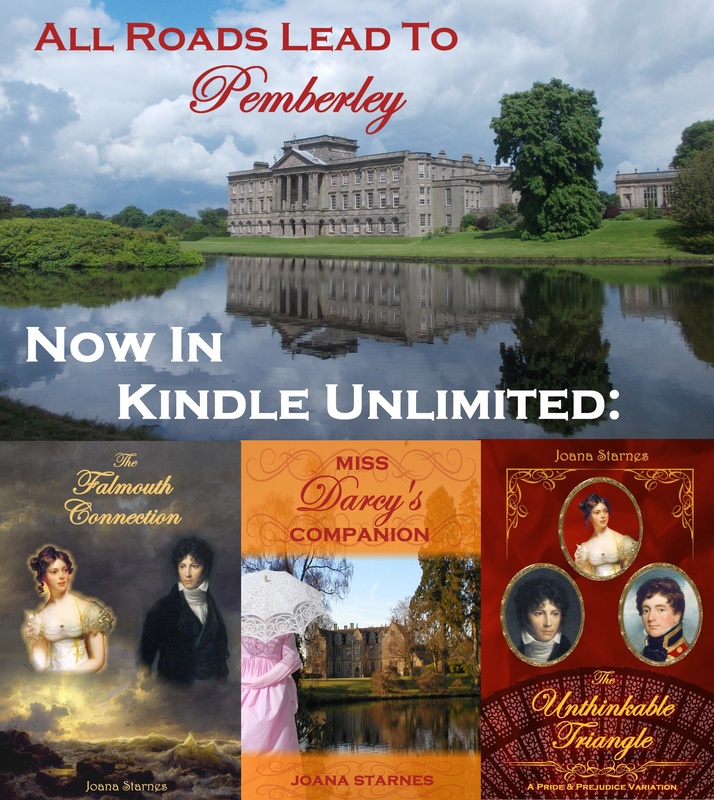 She will visit From Pemberley to Milton very soon with some exciting news… But that is all I can say for now…well, that and that it is not a new book (do you think that by now she has realized my subtle demand for a new book?). What I can say is that whoever guesses what these news will be, will have a good surprise. so, what could this new project be? What will she reveal? 2 – An ebook of any of Joana Starnes books that are currently not on KU. The winner may choose from any of the following books: From This Day Forward, The Subsequent Proposal, The Second Chance, Mr. Bennet’s Dutiful Daughter. Comment this post and tell us what you think she will reveal shortly, all guesses are valid and the giveaway is for international readers ending on May 1st . Winners will be randomly selected, but to avoid selecting someone who already has some of the prizes (namely all of Joana’s books), please let us know which of these prizes you would like to win. During this month I announced a couple of winners who already had the prizes they won, so I had to select other names. The prizes were the JT Originals 2017 Austen Man in Film + 2 calendar and an ebook copy of Mistress by Sophie Turner. Congratulations ladies! Can you please send me your information to ritaluzdeodato at gmail dot com so we can send the prizes to you? Victoria Kincaid is visiting From Pemberley to Milton today with a guest post, an excerpt and a giveaway of her latest book, Darcy’s Honor. This book was downloaded into my Kindle last Saturday, and even though I was reading something else at the time, it didn’t leave my mind as I kept thinking, “how will this one be?”. In situations such as this, I know that I’ll never stop wondering, so I started reading it after lunch and only stopped when I finished it a little after midnight. Victoria Kincaid will explain you how the ideas for her books come up, and share a little excerpt of Darcy’s Honor. I hope you enjoy it 🙂 And if you want to start reading the book right away, you can find it at: Amazon.com. So, as an author, one of the questions I get a lot is “where do you get your ideas for what to write?” My first impulse is always to say, “I have no clue.” That’s not entirely true, but it’s sort of the way it feels to me by the time I sit down to write a book. Obviously Jane Austen’s works are my biggest inspiration, but I’m hard pressed to say where I get the ideas to make changes to her world. Usually by the time the book is ready to be written it’s been simmering in my mind, like a pot on the back burner, for months—if not years. I kind of imagine my brain looks like an airport with at least a dozen airplanes circling around and waiting to land. Sometimes I don’t even realize I’m working on a story idea until it reaches a mostly formed state. It starts with a random musing: “What would happen if I combined Pride and Prejudice with Romeo and Juliet?” Or “What if Colonel Fitzwilliam proposed to Elizabeth?” Sometimes these musings don’t amount to anything. And sometimes they thicken as I tease out the plot implications and consider how different characters would react. They gain details the way a snowball gets bigger as it rolls downhill. So, by the time I put pen to paper (well, fingers to keyboard), the ideas for any particular book have usually been marinating for quite a while and it’s hard to remember where the original impulse originated—let alone some of the individual plot details. However, I do remember some of my inspirations. The main plot for The Secrets of Darcy and Elizabeth was inspired by reading about a brief period of peace in the Napoleonic Wars, and a scene in that book where Darcy encounters Elizabeth while dancing was reminiscent of a similar scene in the Emma Thompson version of Sense and Sensibility. But the rest of the book? Who knows where it came from? Inevitably, however, the book ends up being different from my expectations. That is the nature of writing. The characters demand that you do certain things, and the world of P&P calls for changes that I hadn’t anticipated. But that is the really fun part of writing: it’s a constant process of discovery. As they rounded a bend in the road near Longbourn, Elizabeth disengaged her hand from Mr. Darcy’s arm, rather more reluctantly than she would have expected. It felt unaccountably natural there. She turned to Mr. Darcy with words about a headache on her lips; however, before she could open her mouth, a shriek emanated from the direction of Longbourn. “Lizzy! Lizzy!” Elizabeth turned to see her mother, hands bunched in her skirts, rushing toward them. A coach and driver waited outside Longbourn’s entrance. Presumably her mother had been about to embark on an outing when she spied them. What horrid luck! Elizabeth felt her face heat, no doubt turning all shades of red. She did not even know whether she was more embarrassed by the rebuke or her mother’s lack of decorum. Mrs. Bennet turned to Mr. Darcy and blinked at him, not comprehending his sarcasm. Elizabeth had not believed it was possible for her face to get hotter. I must be as red as a tomato now! Mr. Darcy returned the curtsey with a stiff bow; his blank face betrayed neither disgust nor amusement at her mother’s behavior. “Indeed, madam, Miss Elizabeth has done nothing wrong.” Elizabeth felt a rush of gratitude that he did not mention the horse theft. Elizabeth suppressed a desire to roll her eyes. Her mother was not nearly as subtle as she believed. As he mounted his horse, Mrs. Bennet took the opportunity to voice effusive offers of welcome and exclamations over the virtues of Cook’s poppy-seed cakes. Before he turned his horse toward Netherfield, Mr. Darcy’s gaze caught and held Elizabeth’s as if he intended to communicate some important message to her. But it was lost on Elizabeth. Seconds later, he had bidden them farewell and rode away. 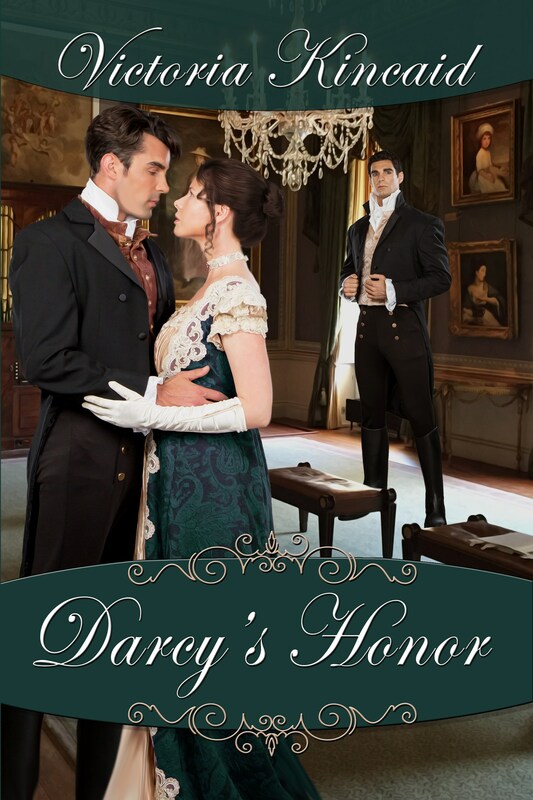 All you have to do to enter the giveaway is leave a comment on this post with your thoughts on Darcy’s Honor. To get a second entrance in the giveaway, comment the review that will be posted next Monday. Comments on each post will be considered for the giveaway. 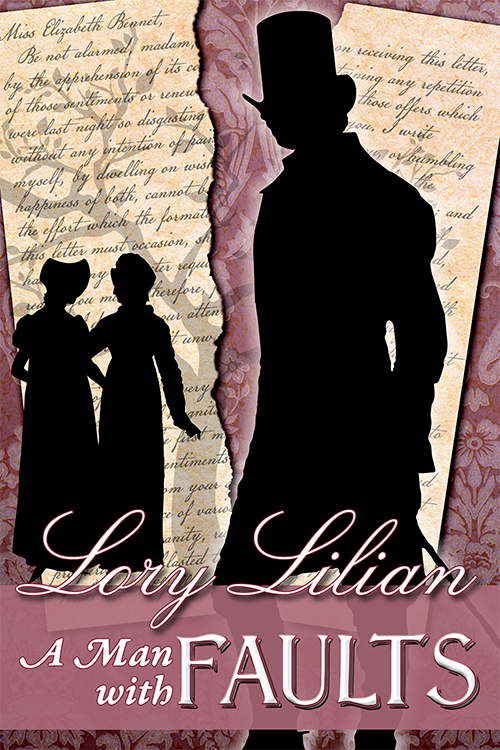 I’m very excited to be sharing with you today the launch post of Lory Lilian’s new book, A Man With Faults. 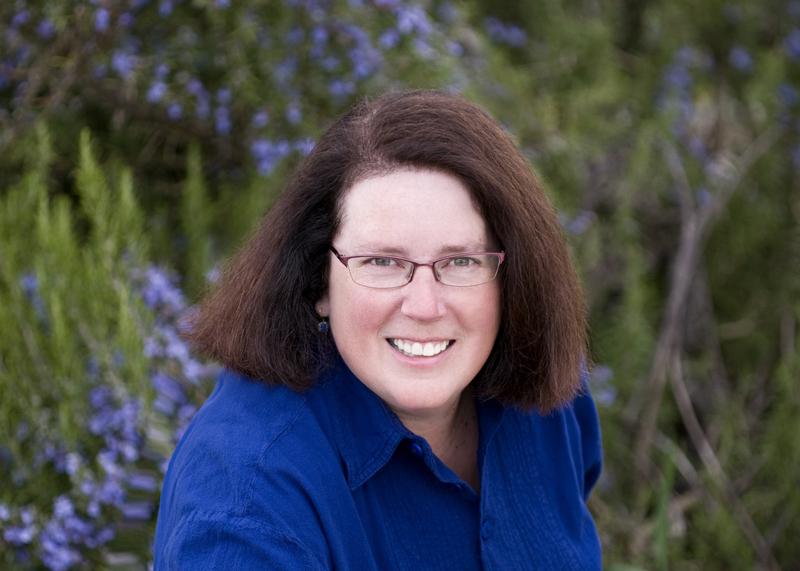 Lory Lilian is one of those authors who doesn’t need introduction, as she has been writing JAFF for almost two decades and is well known in the community. But for those who do not know her, I must tell you she has long won the title of “Queen of Mush”, however, with A Man with Faults she decided to surprise us and go angsty! Can you imagine how happy I was to see that one of my favourite writers was now writing one of my favourite type of books?! I’m ecstatic and I can not wait to start reading this book!!! Oh… and I better not start talking about the cover! It is just pure perfection! But I will stop rambling, and let you read what Lory wants to share with you along with an excerpt of the book. I am very happy to be again at “From Pemberley to Milton”! It is one of my favorite cyber places dedicated to jaff and I wish to thank Rita for her kind invite. Today I’m celebrating with you the launching of my new book (the 7th) “A Man With Faults!” 7 is, for sure, a magic number because my 7th book also marks 7*2 (fourteen) years since I have discovered jaff. And it is my first book with real angst! Scary, for an angst wimp like me! As you might know, in my previous stories, my aim was to make my readers feel good. Low angst, lots of mush, more low angst, a little bit more hot mush. Well, this book is different. Fear not! It is the same Elizabeth and Darcy, the same love story & mush (at some point LOL). But with much more angst. Well, how could I better explain, than post a short excerpt that you can read bellow? Let me know what you think and decide if I should angst again in the future or not! “She soon heard voices, and a woman of middle age with handsome features and a confident posture appeared, measuring Elizabeth with critical eyes. Elizabeth’s kind politeness seemed to gain the housekeeper’s sympathy. Elizabeth remained alone again; she clasped her hands together to hide her increasing nervousness. So far, she had found out that he was at home and there was a slight chance she would see him eventually. That was as good news as she could hope for. To her disbelief, only a couple of minutes later, another servant appeared and bowed to her. Her knees weakened, and her steps became unsteady. She prayed she would manage to fight her turmoil and to behave reasonably when she faced him. The notion that he agreed so quickly to receive her was equally surprising and frightening. Was he willing to learn what she had to say and to offer his help, or had he hurried to see her just for the chance of throwing her out of his house? The servant stopped in front of an impressive door and opened it slowly. She dared to glance inside the room. The curtains were pulled shut, and she could barely see. She only observed a long desk right by the window and a figure resting on the chair behind it. What did you think of this excerpt? I loved it! It gave me the impression that Elizabeth will pine over Mr. Darcy and I love books where that happens. Doesn’t it look like she cares for him already and is afraid of what his reaction will be? And why is she seeking him? Will she ask for his help with the Lydia/Wickham issue? Honestly I can not wait to read it!!! Thank you so much for allowing me to celebrate with you the release of A Man with Faults Lory! It is a great honor to receive you in From Pemberley to Milton, especially in special day. I wish you all the best with this new release and I am sure it will be a success as big as Rainy Days. Now, I would like to share with you the book blurb and the giveaway details. Resentment or love, anger or passion, guilt or hope—which will win? How does a man with faults and a resentful temper act when the woman he ardently loves fiercely rejects his marriage proposal and accepts no explanation from him? How does he react when she finds him again in London four months later, asks for his help, and places all her hopes in him? And what does he do if she is in a position to help him in return? Their lives—and those of the people around them—are changed in ways they could never imagine. Happiness and peace seem lost forever, but Fate has other plans and propels them on a journey—difficult and romantic, tender and painful—in pursuit of their happily ever after. All you have to do to enter the giveaway is comment on this post and share your excitement for this new story with us. To get a second entrance in the giveaway, share this post announcing the release of A Man with Faults on any social media and share the link on this post. In Pride & Prejudice Elizabeth Bennet blames Mr. Darcy for the unhappiness of her most beloved sister, but I always believed it to be Mr. Bingley’s fault, he was the one who left her with a shattered heart after all! And he was the one who was not strong enough to fight for the woman he loved, even if he was led to believe she was indifferent to him, why couldn’t he at least try to win her heart? Why should he just give up? In this story, and knowing he will displease his friend and family, he returns to Hertfordshire to try to conquer Miss Bennet. But there is one small problem…She is actually in London, and the lady he had seen in the park and considered very similar to his angel, was truly Miss Jane Bennet. One would think that upon the knowledge that Mr. Bingley had returned, she would fly to Longbourn to be once more in the vicinities of the most agreeable man of her acquaintance right? Well…not this Jane Bennet! You see, she is also a more determined character in this book and is not willing to run into the arms of the man who left her with a broken heart a few months ago. Jane Bennet’s character is also more firm in this book, and rightly so in my opinion. Why should she forgive him so easily? Jane’s unexpected behaviour will put Longbourn in an uproar and give Mr. Bennet the opportunity to put under good regulation the behaviour of his most angelic daughter by showing her how a real cat and mouse game really his. I confess this was one of my favourite parts of the book and I’m sure Jane will never see mouses the same way ever again. Also, it turns out she can’t resist a man with spectacles so all is well when it ends well (I’m sure you all knew there would be HEA, so I’m not considering this a major spoiler), but what about Mr. Darcy and Elizabeth? They will face trials of their own as everyone seems to know Mr. Darcy’s real character but Elizabeth. She will eventually learn how to read this intriguing man and receive a most unique marriage proposal. I did not see that scene coming, and it became one of my favourite scenes in the entire book 🙂 You’ll know why when you read it. 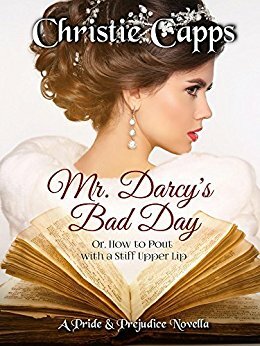 My Mr. Darcy & Your Mr. Bingley is a light, humourous book with an unique perspective on relationships, one’s behaviour and its consequences, that JAFF readers will surely appreciate. Meryton Press is offering 8 Ebook copies of My Mr. Darcy & Your Mr. Darcy to 8 different winners. Readers may enter the drawing by tweeting once a day, and daily commenting on a blog post that has a giveaway attached for the tour. (1 comment/blog post) Entrants should provide the name of the blog where they commented (which will be verified). You may enter once by following the author on twitter and once by following the author on Facebook. Remember, tweet daily and comment once per post with a giveaway to earn extra entries. To enter click on the link here. Last month I hosted Sophie Turner at From Pemberley to Milton with an excerpt of her book Mistress as the closure post of the blog tour. I was amazed at how many people were still participating in the discussion and very pleased to see that the book reached many of your hearts. I would like to thank Claudine from Just Jane 1813 for organizing this blog tour and being kind enough to include me in it, and to Sophie Turner for being such a dear and participative host. I would also like to thank all of you for your support and to announce the winners of the giveaway Sophie Turner hosted. Please send me your contacts to ritaluzdeodato at gmail dot com so that the ebooks can be sent out to you. I think you’ve all noticed how much I love book covers and all the details associated to its creation. Because of that I could not resist to interview one of my favorite cover art designers, Janet Taylor, and ask the authors she worked with to talk a little about their experience with her. Everyone involved in this post was extremely nice and patient with me, and also very generous with my readers as they all offered to giveaway something to people commenting on the post. Congratulations everyone! And thank you for all the love and thoughts you shared with us! Congrats Jeanne! Please send me your contact to ritaluzdeodato at gmail dot com so that the book can be sent out to you.